It's been a while since I've written about eating out so I thought I'd mention a few places I've been to in Birmingham recently. The first one is Aunt Sally's Caribbean restaurant. I've been there a couple of times at lunchtime. The first time I had the jerk chicken (as you do). The second I tried the mutton curry. On both occasions I chose the larger size but I really struggled to finish the mutton. The prices may have gone up a bit recently but the food is good and the serving sizes are generous. 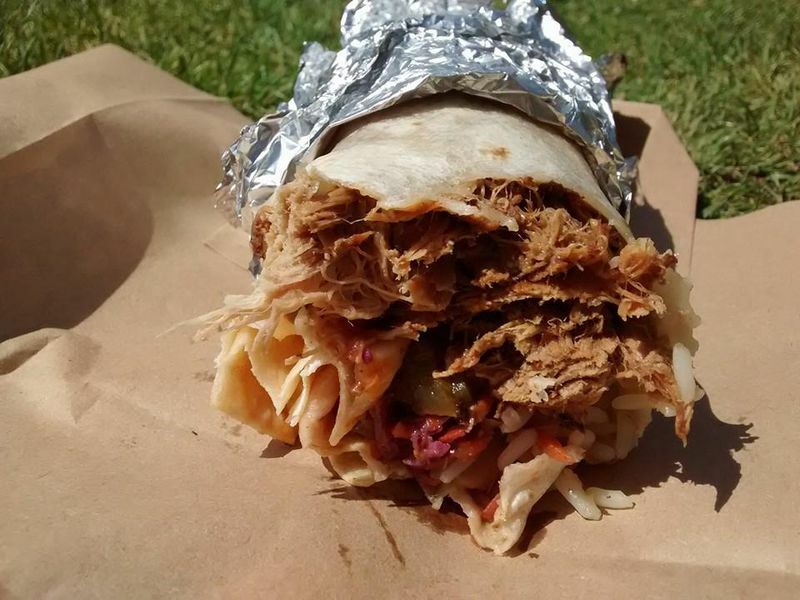 The second place worthy of a mention is Habaneros, the burrito van near the Cathedral. I decided to try the pulled pork burrito with all the trimmings (apart from guacamole since I'm not a big fan of avocado, but I might try that next time). They cram a lot of food inside a 12 inch burrito and it's another lunchtime venue worth visiting. We have just come back from a holiday, camping in Brittany. Highlights include the standing stones at Carnac, the old town at Concarneau, sampling the local ciders and, of course, the food. We had assorted crepes from several different cafés and restaurants and an enormous pan of moules for lunch one day.